A gentle, ALL-natural cleanser with nourishing all natural butter and oils. That’s right, completely free of chemicals and synthetics. GMO free! It’s a cleanser, toner, and moisturizer all in one. This multitasking Facial Cleansing Healing Balm™ fights acne, removes makeup and skin impurities, manages sebum while providing deep hydration. Our specifically selected blend of butters and infused oils cleanse the skin's surface and renew the complexion, leaving it healthy-looking and refreshed. The non-greasy texture leaves skin feeling moisturized, never tight or dry. 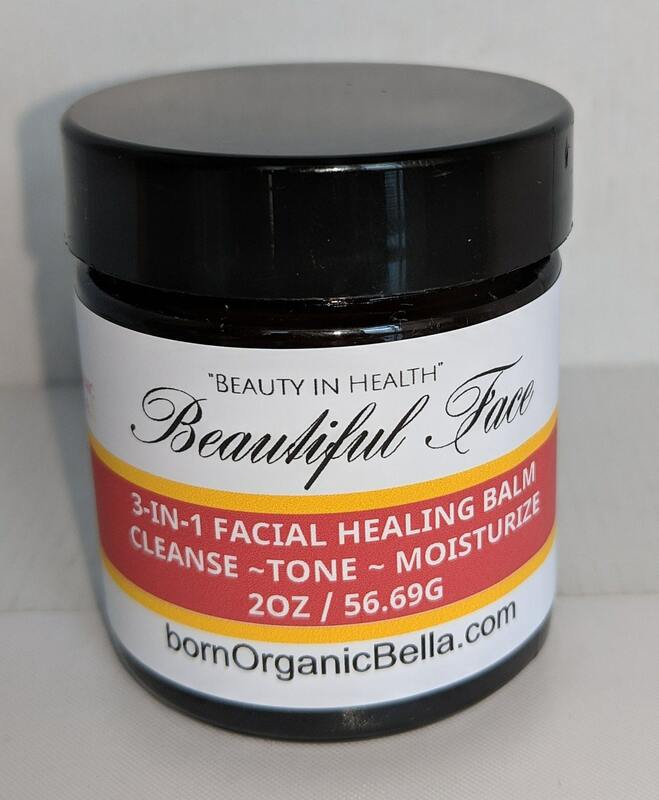 Our Facial Cleansing Healing Balm™ is ideal for all skin types. An effective natural cleanser that restores the skin's natural moisture and maintains the pH balance. It is produced with the finest high quality 100% natural ingredients. Naturally rich in vitamin E and essential fatty acids, these organically grown ingredients are known to prevent skin dehydration, inflammation, hyper-pigmentation, and excess production of sebum.